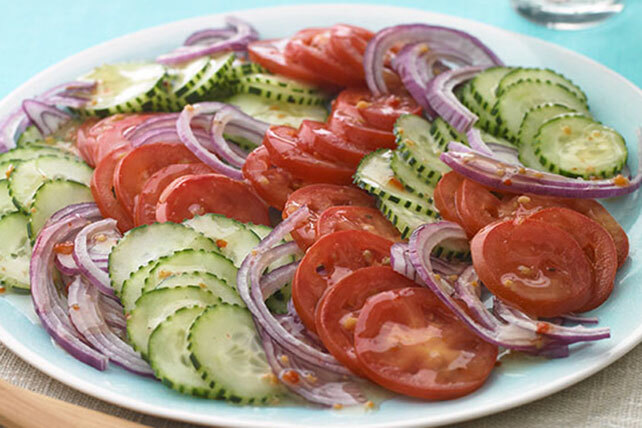 Cucumbers, tomatoes and red onions: Summer’s brightest trio is smartly dressed and ready to go in this potluck-perfect Cucumber-Tomato salad. Run fork down sides of unpeeled cucumbers before slicing. Prepare using 1/2 small cucumber, 1 small tomato, 1/4 of small red onion and 2 Tbsp. dressing.